Het Loo Palace was built in 1685 at the behest of Stadholder William III (later King William of Great Britain). It is located on Het Loo Royal Estate, which is also the site of Het Oude Loo Hunting Lodge. 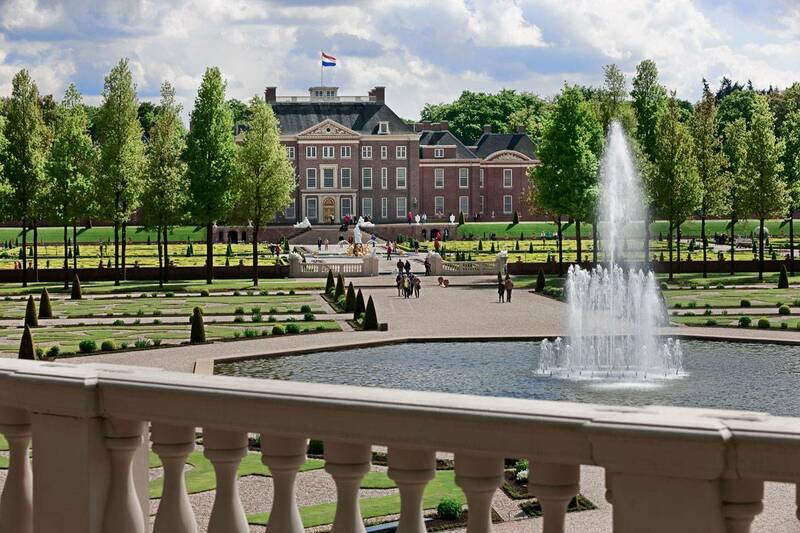 Rear view of Het Loo Palace from the Koningssprong fountain. The palace has long been used by the royal family, among other things as a summer residence for Queen Wilhelmina, while it was state property. After their wedding in 1967, Princess Margriet and Professor Pieter van Vollenhoven lived for a time in a wing of the palace. On the grounds of Het Loo Palace stands Het Loo House, the present home of Princess Margriet and Professor Pieter van Vollenhoven. In 1971 it was decided that Het Loo Palace would be turned into a museum, showing how members of the Royal House lived in the palace over the years. The stables house a large collection of carriages from the holdings of the Royal Stables. One wing of the palace is devoted to the Museum of the Chancery of the Netherlands Orders of Knighthoods, where a collection of Dutch and international medals and decorations is on display. The museum regularly hosts new exhibitions. In 1998 Queen Beatrix celebrated her 60th birthday at the palace. Prince Maurits and Princess Marilène had their civil marriage ceremony there. Some of the youngest generation of the royal family were baptised in the palace chapel. The museum draws around 400,000 visitors a year. Exhibitions are held there on a regular basis, sometimes featuring pieces from the collection of the Royal Archives. A substantial proportion of the permanent collection is from the House of Orange-Nassau Historic Collections Trust. The palace and garden are open to the public from Tuesday to Sunday, from 10.00 to 17.00.